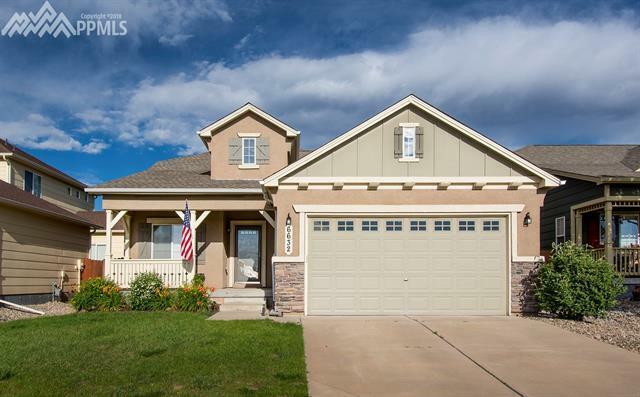 Gorgeous ranch style home with 4 beds, 3 baths, 2 car attached garage. This rancher has a total of 3160 square feet of pure delight plus lots of entertainment space outside. Stucco and Stone exterior in the charming Greenhaven neighborhood. Hardwood floors throughout main level. Kitchen has maple cabinets, granite countertops, newer backsplash, pantry, newer appliances, breakfast bar, walkout to covered deck. Includes a counter depth refrigerator, gas range. New roof w/ impact resistant shingles and LED lights throughout.